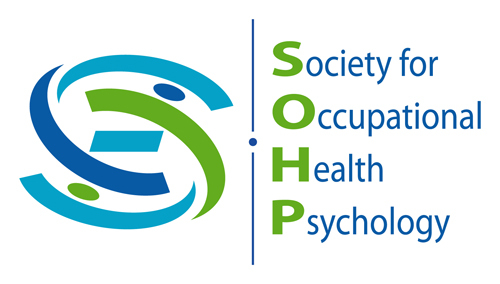 OHP is committed to recognizing contributions of occupational health psychology professionals to the science and practice of our field. We support several awards for research in occupational health psychology that are presented at the biannual International Conference on Work, Stress and Health Conference, which we cosponsor with the American Psychological Association and the National Institute for Occupational Safety and Health. Awards presented are presented below, along with previous award winners. This award honors researchers and practitioners whose careers are characterized by a series of distinguished contributions that have significantly advanced the field of occupational health psychology. 1999 – Sidney Cobb and John R. P. (Jack) French, Jr. This award honors individuals who have been critical to the inception of the field of occupational health psychology. Without their efforts, the field would not be where it is today. This award honors young researchers and practitioners from around the world who have made exceptional early career contributions to the science and/or practice of occupational health psychology. This award recognizes the best article published in the Journal of Occupational Health Psychology. Holman, D., & Axtell, C. (2016). Can job redesign interventions influence a broad range of employee outcomes by changing multiple job characteristics? A quasi-experimental study. Journal of Occupational Health Psychology, 21, 284–295. Fisher, G. G., Stachowski, A., Infurna, F. J., Faul, J. D., Grosch, J., & Tetrick, L. E. (2014). Mental work demands, retirement, and longitudinal trajectories of cognitive functioning. Journal of Occupational Health Psychology, 19, 231. Hakanen, J. J., Bakker, A. B., & Jokisaari, M. (2011). A 35-year followup study on burnout among Finnish employees. Journal of Occupational Health Psychology, 16, 345-360. Armon, G., Shirom, A., Melamed, S., Shapira, I. (2010). Elevated Burnout predicts the onset of musculoskeletal pain among apparently healthy employees. Journal of Occupational Health Psychology, 15, 399-408. Richardson, K. M., & Rothstein, H. R., (2008). Effects of occupational stress management intervention programs: A meta-analysis. Journal of Occupational Health Psychology, 13, 69-93. Grandey, A.A., Kern, J.H., & Frone, M.R. (2007). Verbal abuse from outsiders versus insiders: Comparing frequency, impact on emotional exhaustion, and the role of emotional labor. Journal of Occupational Health Psychology, 12, 63-79. De Lange, A., Taris, T., Kompier, M., Houtman, I., & Bongers, P. (2003). The very best of the millennium: Longitudinal research and the demand-control-(support) model. Journal of Occupational Health Psychology, 8, 282-305. This competition recognizes outstanding evaluations of “best practices” intervention that partner researchers with industry and/or labor to prevent occupational injuries and illnesses and to promote safety and health at work.